- Never use a damaged or unidentified sling. - Never drag your load in the sling or drag the sling from under the load. 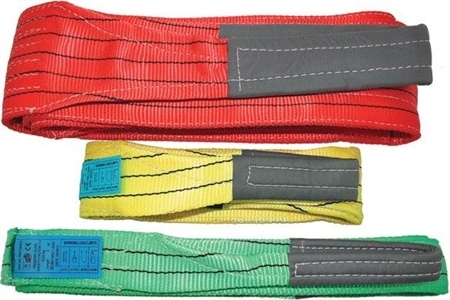 - Protect slings from all sharp edges, friction and abrasion. - Avoid contact with hot surfaces, hot gases, acids and alkalis. - Only engage slings upon suitable lifting devices. - Slings must never be knotted or twisted. - Store in clean, dry, ventilated conditions, away from direct sunlight. - Our slings may be cleaned with cold water and mild detergent. - Hang up to dry naturally. - Never attempt to carry out repairs to slings Duplex Slings. Other sizes by request... Contact: sales@gaelforcegroup.com or telephone 01463 229400.